I had the opportunity to attend the MACHE (Minnesota Association of Christian Home Educators) annual conference in St. Paul last weekend. 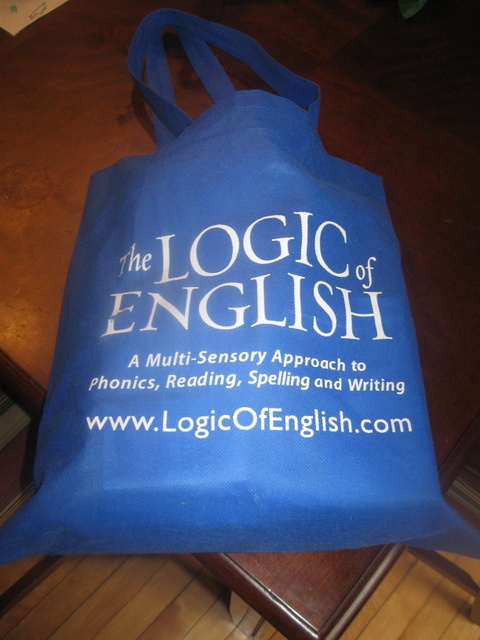 It was only my second time attending a homeschool conference, and I am glad I went. Yes, it’s an expensive shopping trip to pay money to attend a conference to go and spend more money once you are there. But on the other hand, it is such a great way to actually see products first hand, ask questions of knowledgeable product reps (or sometimes the authors/creators themselves! ), and in some case come home with your item right away. I’ve known for a couple months that our current spelling curriculum was not working for us. 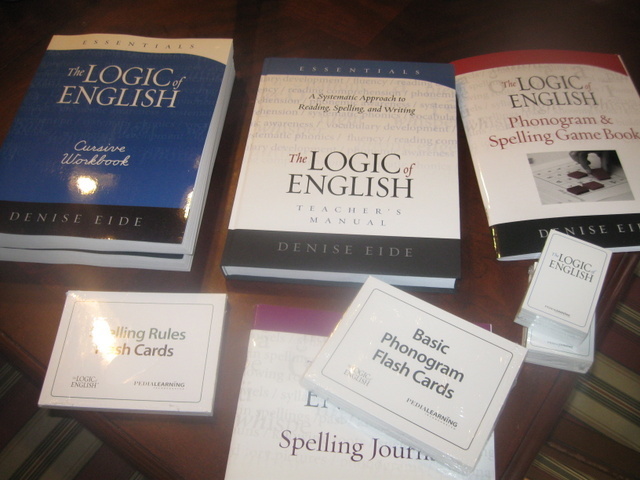 I had been super curious about “The Logic of English Essentials” curriculum by Denise Eide, ever since having read her book “Uncovering the Logic of English”. After looking through the material in person, asking questions of the product rep (I was a little bummed that Ms. Eide was not there herself, given that I think she is a resident of our area! ), and attending a breakout session about the curriculum I decided to go for it. I then lugged what felt like a ton of books around for several hours since I didn’t want to pay two bucks for the book check. Silly, I know! I’m sure I’ll have a lot more to say about this curriculum in the future, but I will say I decided to jump right in and use it right away, and I think I am going to like it from a teaching perspective. I guess only time will tell if it will help Miss M’s spelling woes or help Mr. E get off on the right start as a new speller himself. I feel good about my investment in the sense that even if after a couple months I change my mind, this product should have a good resale value since it is such a new curriculum. Besides my purchase of the “Logic of English” curriculum, I purchased a few art supplies (using great restraint — I wanted so many more! ), a couple handwriting books, and a few fiction books from the used books area. I even found a copy of “Gentlemen from England” by Maud and Delos Lovelace for myself! I attended a seminar on Fractions by RightStart math author Joan Cotter. It was a helpful seminar, and helped me continue to feel enthused about Right Start. If games and these concepts can help kindergartners that Ms. Cotter taught learn concepts that upper elementary children often get confused about, this is a great approach. I had a great conversation with a bookstore owner about “spine” texts for American history. Unfortunately it confirmed what I already thought might be true — I am going to have a hard time finding exactly the type of text I am looking for at this time, given the age of my student and my other criteria. I heard most of a Keynote session about homeschooling as an opportunity to make disciples. I am challenged to think “simple” when it comes to having devotions with my kids. While something fancy and prepared is great, we can also have a great time in the Word by just randomly (or purposefully) having a “one inch” Bible study as the speaker called it — picking an inch of text and discussing a few simple questions: What does it say? What does it mean? What does it mean to me? So What should I do about it? My conference experience was not without its frustrations. Two seminars I wanted to attend were full by the time I arrived. I lost my name tag mid-way through the second day and had to pay a $5 fee to get a new one. Bummer! But overall it was a great experience. I’m not sure going to a conference is an every year sort of thing for me, but I definitely enjoyed my time this year.